There are plenty of reasons to want to download a video from YouTube to your PC. You might be fed up of the adverts embedded by Google, you may not want to lose such as special video and you're afraid that YouTube might delete it one day or you could just be tired of the buffering caused by your slow Internet connection. Whatever the reason is, Free YouTube Downloader is the easiest and fastest way of saving a local copy of the videos hosted on this web. How to use Free YTD? We've already told you that it's an easy-to-use program, but you probably can't imagine to what extent. 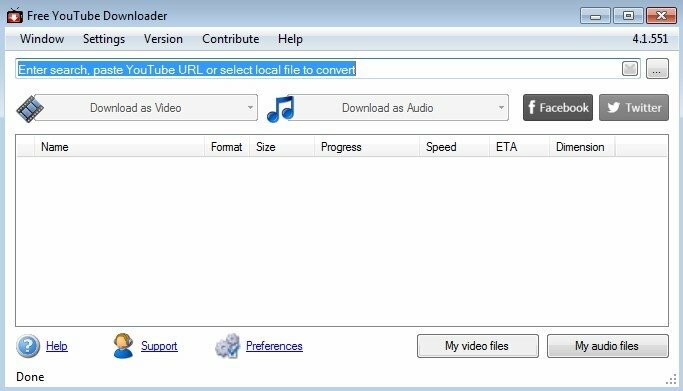 Just install it on your Windows PC and copy the URL of the YouTube video you want to download. You don't even have to paste it into the corresponding field as the software automatically detects that there's a YouTube video in your clipboard. As easy as searching for a video on YouTube. From there on, you only have to decide whether you want to download the full video or just the audio. The decision will depend on what you're really looking for and the free space on your hard drive. 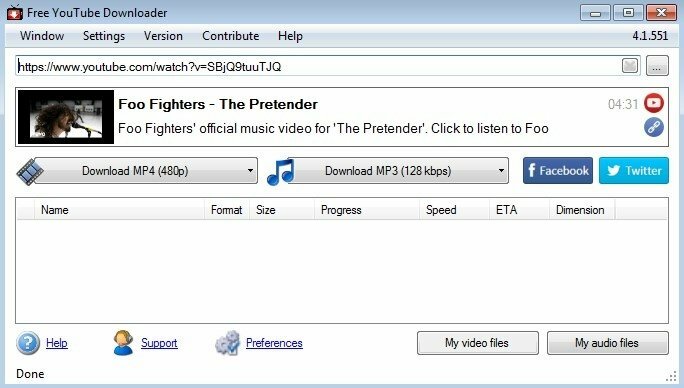 If you're running out of space, you can also choose to download a lower-quality version of the video or song, with which you'll save some room. Download video in the following formats: MP4, WebM or AVI. Video quality available: from 144p to 4K. Download audio in the following formats: MP3, Vorbis or AAC. Built-in video converter and search engine.